This site is currently a “work zone” and work zone speed limits are enforced (just kidding). Seriously though, I am currently building this site up, which means that changes will be occurring frequently, but not in the posting area (I will be adding pages and other fun features). So keep checking back for improvements. I would like to welcome our newest members, William F. Sauerwein (my father) and James Mc Intyre, Instructor in History at Moraine Valley Community College. Both bring interest and expertise in the period covered by Frontier Battles. I look forward to their posts in the near future. Welcome to Frontier Battles, the blog dedicated to exploring the wars and history of Canada and the United States from 1607-1815. 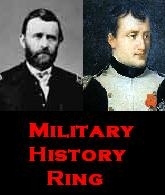 This site is under the auspice of Military History Blog, which deals with other aspects of military history. If you are interested in the period covered by Frontier Battles and would like to contribute, please email me.